Ancient people dicovered fire many thousand years ago. And since then it is attracting a lot of minds. You can watch flame for many hours for it`s mystery. This fantastic flame screensaver brings fire to your screen. Ancient people dicovered fire many thousand years ago. And since then it is attracting a lot of minds. You can watch flame for many hours for it`s mystery. 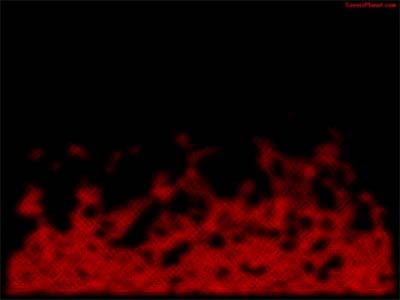 This fantastic flame screensaver brings fire to your screen. Download and enjoy flame screensaver absolutely for free! nfsKarlovyVary free screensaver features one of the streets in Karlovy Vary at night, the town which is located in the western part of the Czech Republic at the confluence of the rivers Teplá and Ohře. It's safe to install and run. No spy/adware. St. Valentine's day is a day for people who love each other. And it doesn't matter what season is in your yard - winter, spring, summer or autumn. There is no time or season limits for your love. Not only people like this holiday, but animals, too. Gatineau Park in 360 degrees is a free screensaver that includes 5 wonderful 360� interactive panoramic movies of Gatineau Park, Canada: Carman Lake, Brown Lake, Lac La Peche, Giant's Trail and The Ruins on Meech Creek. SeaHD is a new screensaver on nature theme from a collection of new free screensavers from http://www.newfreescreensavers.com. A beautiful view of the sea will make think you about the eternity of the Universe. It's safe to install and run. Take a fascinating journey to the Uranus planet, named after the ancient Greek deity of the sky. Watch amazing space scenes enjoying the relaxing music track.